Alcohol and other drug dependency and abuse have invaded our communities and is clearly visible either directly or indirectly every day on the evening news, newspapers, internet, Facebook and/or radio, or local neighborhood gossip. Whether it is a report of a drug arrest, a fatal car accident due to driving under the influence, gang shootings, reports of robberies or thefts, arrests for violating protection orders issued for domestic violence, homicides or an assortment of other life-threatening acts of violence. AOD dependency and abuse creates a host of emotional responses in our communities. For over 200 years, Americans have debated what exactly is addiction. Is excessive alcohol and other drug (AOD) abuse and dependency a disease, an illness, a sickness, a malady, an affliction, a condition, a behavior, a problem, a habit, a vice, a sin, a crime, or some combination of these. Today, the debate continues even more intensely, as it should. We need to understand and discover what role churches, pastors and church leadership play and learn how we can respond to an overwhelming community problem. One dominate perception is that AOD1 abuse and/or dependency is simply willful and defiant anti-social behavior. Plenty of evidence exists to justify this perception and makes it sound reasonable and appropriate. Sadly, this perception also leads our communities to the attitude that AOD dependent individuals and their families do not deserve our help. Maintaining these perceptions only deepens our denial and clouds any possible role we might play in addressing the problem within our communities. We need to resist making the broad assumptions about these individuals and their families. Treatment does work, recovery is real and recovering people need others to help them recover. They need healthy relationships and spiritual guidance. Early church theologian Augustine once said that “God is always trying to give good things to us, but our hands are too full to receive them.” If our hands are full, they are often full of the things to which we are addicted and to the things we have formed any unhealthy attachment. As the church we are called to “set free the captures”. There are thousands of individuals in our communities who are beginning the hard work of recovery and they need the spiritual direction that the church can offer. They need healthy relationships and a place where they feel they belong. We can offer them the grace, compassion, and love of God revealed to us in Jesus Christ. 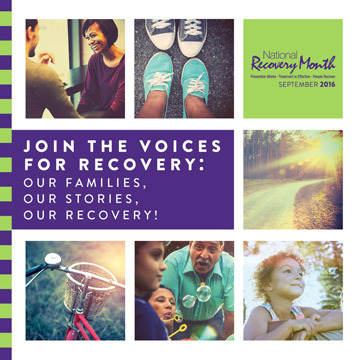 September is National Recovery Month and it is important for us within the church to understand and learn about the stories of recovery told by those in recovery for both addiction and mental health. We can not help our communities to overcome the problems of alcohol and other drugs, if we are unwilling to learn about the problem and enter into the conversation surrounding us. Included on this page are links to resources to help you better understand the struggle of those recovering from addiction and help us understand of those who are experiencing the pain of active addiction. Follow the link below to read the stories of those who are in recovery. 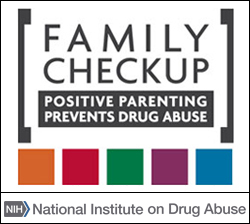 Web site contains a wealth of information about drug abuse, prevention and treatment. Publications that can be ordered (most free) or downloaded, plus a Treatment Center locator.